‘Functional Training’ is a term that has been used dare I say it “loosely” within our industry over the last few years. So what does the term ‘Functional Training’ really mean? What I will aim to do in this article is to give you an overview of some of the principles of functional training and how you can apply those principles to improve client performance through exercise prescription. 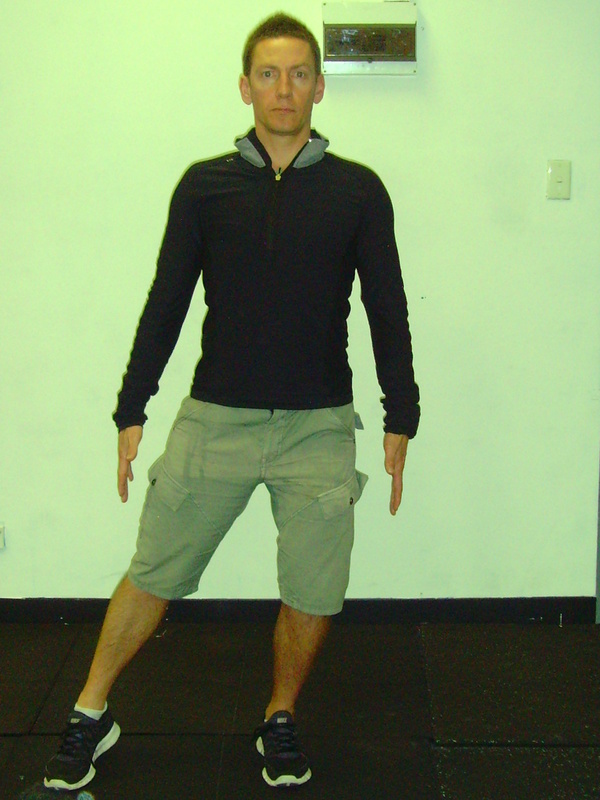 An exercise continuum involving balance and proprioception, performed with the feet on the ground and without machine assistance, such that strength is displayed in unstable conditions and body weight is managed in all movement planes. Multi-joint, multi-planar, proprioceptively enriched activity that involves deceleration (force reduction), acceleration (force production) and stabilisation; controlled ammounts of instability; and management of gravity, ground reaction forces and momentum. A spectrum of activities that condition the body consistent with its integrated movement/use. All of these definitons authentically state what functional movement is, but with the growth of new trends within the health and fitness industry we tend to lose site of the application of some of these principles. Functional Training involves movements which are specific to the task or purpose within a person/s activities of daily living. They involve skillful application of ground reaction forces. Forces are transmitted through the body through a chain reaction. 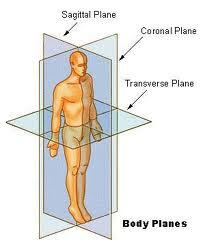 Tasks are performed in 3 dimensional planes of motion. In order to achieve balance and skills needed to perform these tasks, we regularly get into certain postions. 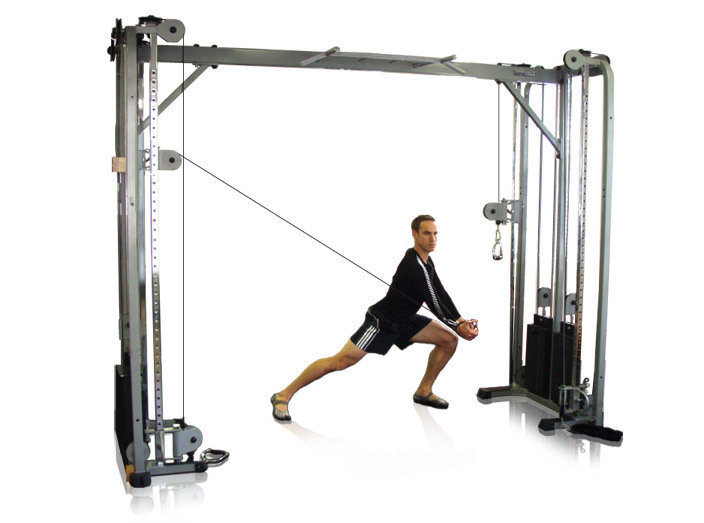 As these tasks are performed more reguarly, motor programs and functional adaptions are reinforced. For these reasons it’s helpful to re-think the traditional distinction between athletic and non-athlethic activities. Therefore when designing a program we can look at the fundamentals of the type of activity which is being performed by either the conditioned athlete or the non-conditioned athlete. Then we can then determine the role ‘functional training’ will play in either the enhancement of performance or is helpful in improving the overhall quality of life. Note: For example we would classify the foot as the driver during an anterior balance reach with the foot reaching towards the specified target. As 3D movement includes the whole body and involves multiple joints, we must therefore assume that there will be a chain reaction created throughout the body as we deal with the physical forces. As trainers we all have an understanding of exercise prescription and an abundance of different exercises to choose from in our forever expanding tool bag. However we must understand that it is not the exercise that will determine the success of the movement – it is the movement that will determine the success of our exercise prescription. I often see clients that have come to me for post-rehabilitation after several weeks of working with a health professional during the acute phase of injury. These clients have mostly had a reduction in pain and are therefore ready to engage in a post-rehabilitative exercise program. After an initial subjective summary we start to build a picture of the client’s functional health and activity history. An example of this would be a client who sprained their left ankle 6 months ago and received no treatment for that injury. A great one to remember for later on, whilst performing the client’s functional assessment. Staying within our principles of function, let’s take a look at the balance reach assessment. We direct our client to reach their right leg anteriorly and posteriorly at a verticality of ground and at a distance of mid range. Interestingly during our observation our client shows a limitation in dorsi-flexion through the left ankle complex when reaching the right leg anteriorly. On completion of our functional evaluation we can review our subjective summary and observation of functional movement before we determine our exercise prescription. The great thing about a functional assessment is that some of the exercises that we use to assess our clients may be also prescribed in our exercise selection. Our observation in the sagital plane showed a degree of limitation in dorsiflexion in the left ankle on a anterior reach with the foot as the driver. 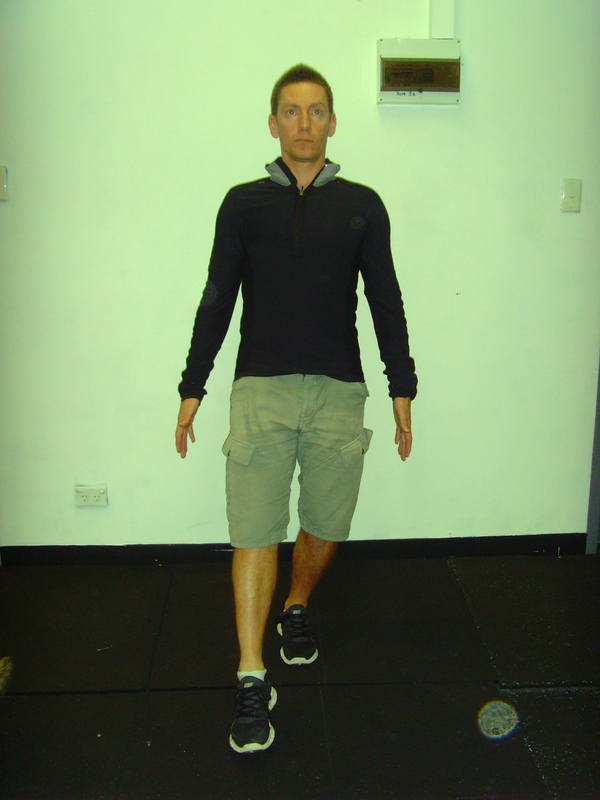 Frontal plane reach with foot driver working within the ‘threshold of success’ – same exercise selection but alternative plane selected to work on improving the mobility of the ankle complex. Observing our client’s movement in all three planes of motion may help us to identify a series of limitations in their functional capabilities. Clients learn new skills in stages so it is important to work with our clients within the ‘threshold of success’. It is important to recognise these stages and to prescribe your exercises accordingly. Mistakes play an important role in how we learn, as long as we are adhering to the main principles of function and our mistakes are minimal. The trainer must be able to identify those mistakes and be able to provide a solution to enhance our client’s functional capabilities. Master Dip. Fitness Testing & Sports Therapy, Dip. Exercise Science, BWLA Weight Lifting Coach, Advanced Strength Training AGSHSS Corrective Exercise Level 2, AGSHSS Pre & Post Natal Exercise, AGSHSS Myofascial Trigger Point Release Therapy, CHEK Exercise Coach,NLP & Transformational Coach, GRAVITYPost-rehab Trainer. 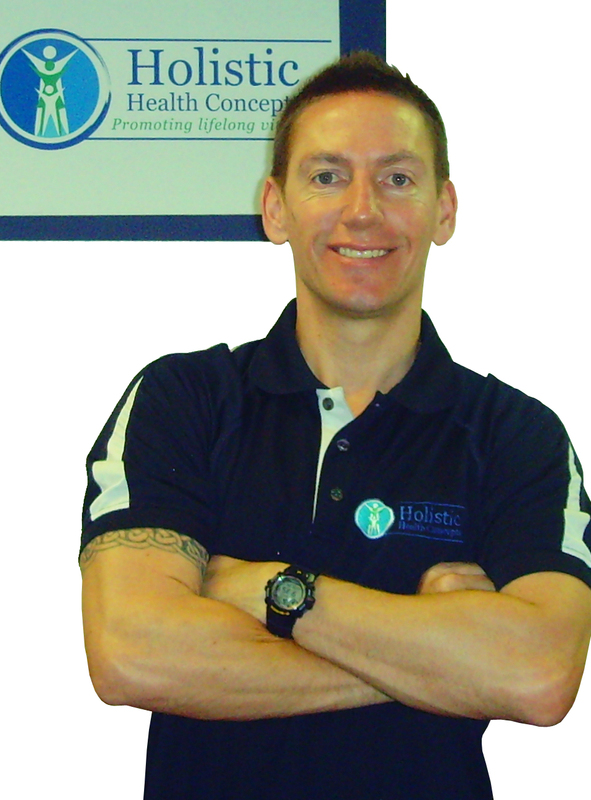 Dean specialises in corrective exercise, injury prevention, weight management and special populations. Based out of Sydney, Dean’s passions lie within movement and rehabilitation. This has led him on an incredible journey of self discovery and education. Dean believes there is a great need and a requirement to be open-minded and adaptable in order to be successful in this field. This entry was posted in CHEK, Functional Training, Personal Training and tagged corrective, Dean Quirke, exercise selection, fitness, functional training, personal trainer by HQH Fitness. Bookmark the permalink.